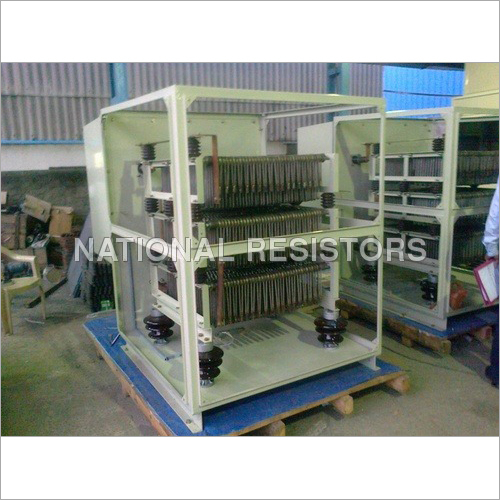 resistors help in maintaining the current flow if high and limit the fault current, so that it does not effect the generators, transformers or switchgear further. We pride ourselves in manufacturing, supplying and exporting the range of power generating industrial products. Neutral Earthing Resistors simplifies the location of ground fault and isolates the original fault. Not only it increases the life span of connected gears, it also provide safety to the personnel. It can be installed both in Indoor or outdoor locations and its duty rating is 10 sec., 30 sec., 60 sec., & continuous etc. They require accessories such as current transformer, space heater, isolating switch on load & off load, manually or motorized.